Courtney Barton has been employed in law firms specialising in family law services since 2008. 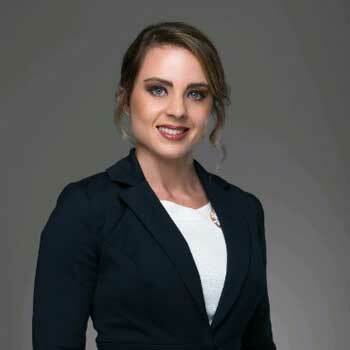 She graduated from the Queensland University of Technology with a Bachelor of Law with honours in 2009 and was admitted to the profession as a Solicitor in June 2011. Courtney has practised almost exclusively in Family Law since that time. Courtney’s priority is to provide exceptional and superior customer service to her clients by listening to their concerns, delivering on the promises she makes and providing a service that is tailored to each client’s individual needs. Courtney understands that her clients want certainty and transparency in relation to their legal fees and caters to that need by fixing their fees. Courtney provides her clients with sensible, practical and tactical legal advice, to empower them to achieve the best possible resolution to their legal problem as quickly and cost effectively as possible, so they can move on with their life, at the least possible financial and emotional cost. Courtney is a volunteer at Pine Rivers Community Legal Centre.